Total Film Malaysia is one of the newest publications in the industry and the “Modern Guide To Movies” is quickly gathering steam. 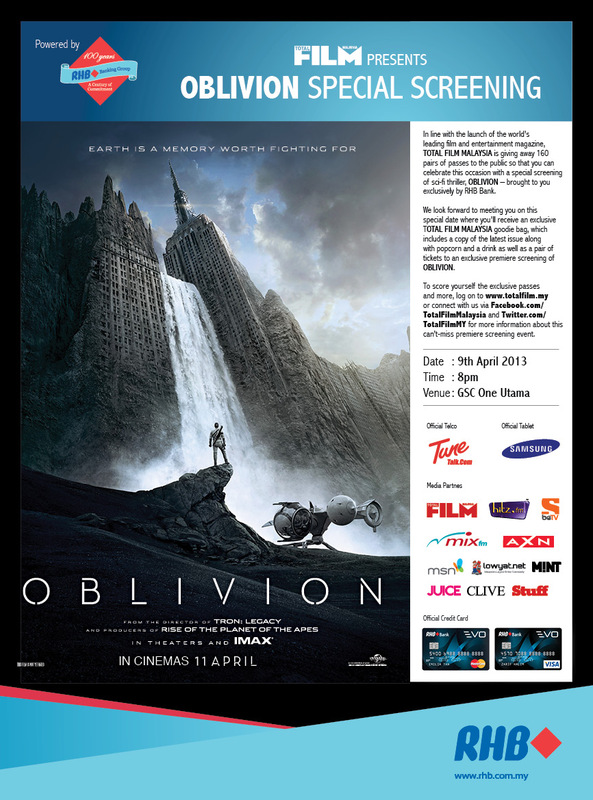 In conjunction with their official launch, Total Film is giving away 160 pairs of passes to catch a very special screening of the Sci-Fi thriller, Oblivion – Brought to you exclusively by RHB Bank. If you’re interested, the screening is on the 9th of April 2013 at GSC One Utama at 8PM. Interested? Head on over to http://www.totalfilm.my to join the contest!